Examples of fabrics from Uganda, Ghana, and India showed EES first graders how textile-makers use pattern in their work. 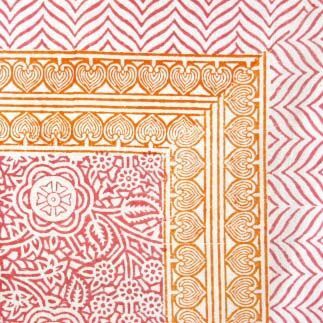 The most fundamental feature of the patterns that students observed is that patterns repeat, which makes patterns very different from "designs" on clothing. 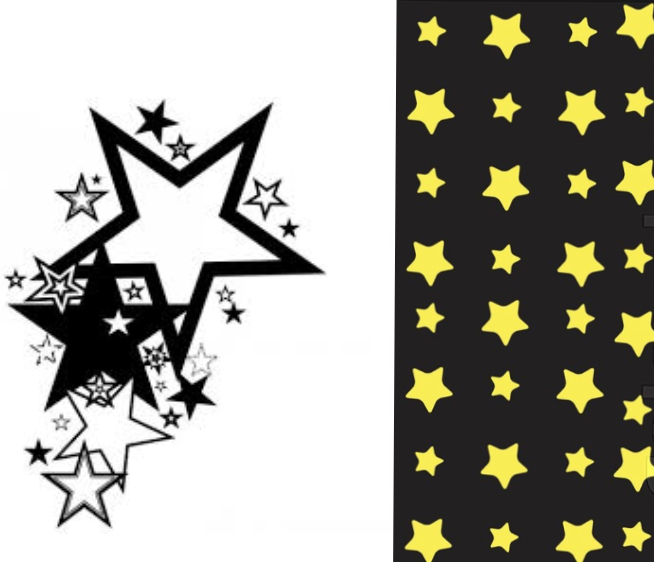 A design is not bound to repetition, and might look like perhaps a smattering of shooting stars in a sky or a few fish swimming in the ocean, printed across a shirt. 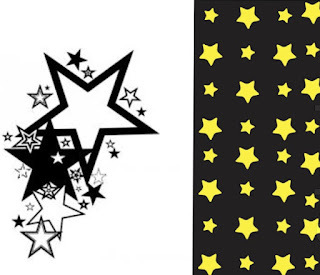 At left, a star design, and at right, a star pattern. First graders first examined their own apparel to look for designs, and then for patterns, finding lots of examples. Patterns were identified by the regularly spaced repeating images, such as squares for checks or circles for polkadots. Other patterns students found on their own clothes included stripes (straight and zigzagged), plaids, and florals. With plenty of examples from both around the world and in their own classroom swirling in their minds, first graders used their sketchbooks to create two ideas for patterns of their own. Once they had drawn both, they selected one to draw again a piece of styrofoam, which served as a print plate. On the first day of printmaking, students used their print plates to make five prints- one in each corner, and one in the center. The ink used is water-soluble, so the styrofoam plates were washed and dried for the next class period. On the next day, students changed the color with which they were printing, rolling on the new ink for four more prints. Over the two printing classes, each student worked with one ink in a warm color and one in a cool color. These artworks are each 12"x18" overall, made with 4"x6" printing plates. Exploring the way artists design pattern is a step toward our next fabric project- this week, first graders will begin cutting and pinning fabric to sew their own pillows!